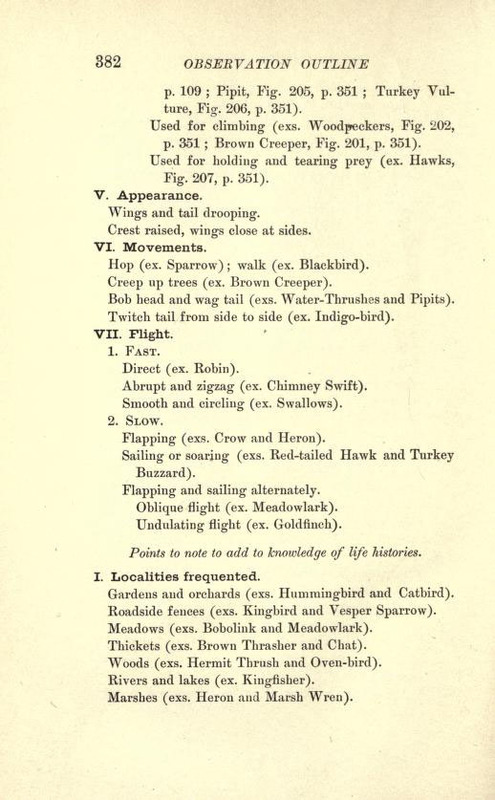 I love the tone of old nature guide books. Reading one is like sitting by the campfire, chatting with a nature expert, after taking a long hike in their company. 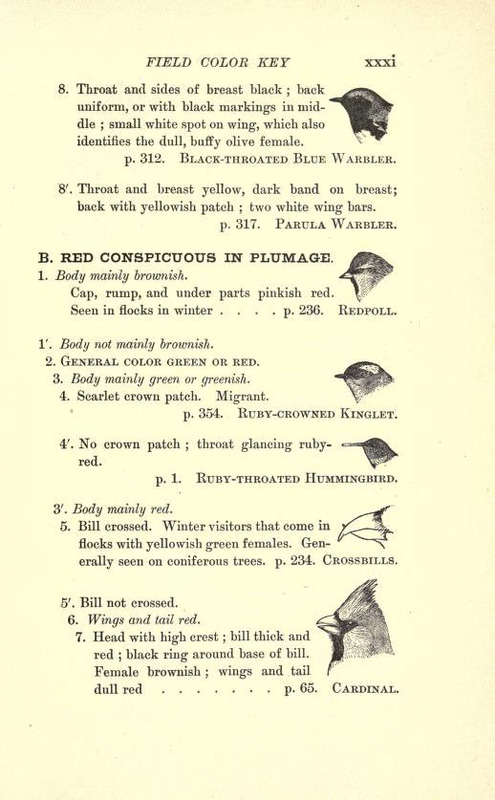 One of my favorites is Florence A. Merriam, who wrote on birds, starting in the 1880s. 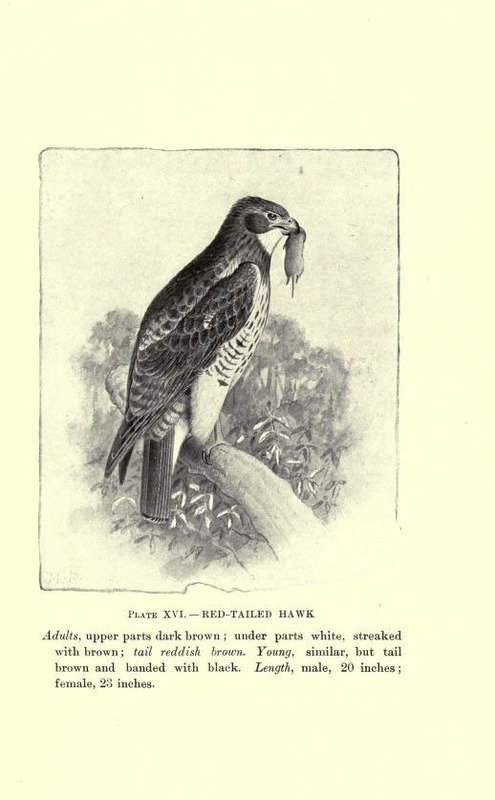 At the time, there were two basic viewpoints about birds — there were ornithologists who wrote technical descriptions based on dead specimens, and there was the general public, who saw birds “through a strictly utilitarian lens — either as valuable for sport, food, or pest control, or viewed as vermin to be stamped out when their behavior conflicted with human interests.”* Florence Merriam’s writing opened up the whole concept of bird-watching as a pastime. She was writing to convince people to study and admire living birds, instead of shooting them for study samples or for adornment. She wrote chatty articles for popular magazines, and they were gathered into a book in 1889, Birding Through an Opera-Glass. This is considered to be the first popular field guide. The appendices are very useful. 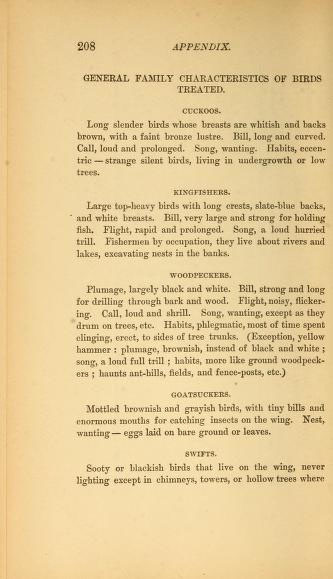 She has short descriptions of bird families, lists of birds categorized by their common habitats, colors, bill shape, song, nest location, and so on. Birds Through an Opera-Glass, Family Characteristics. 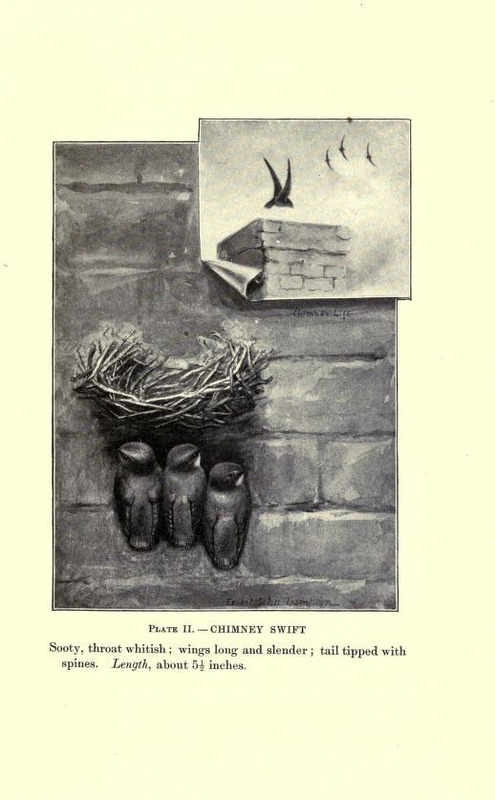 In 1898, she published another longer book, Birds of Village and Field: A Bird Book for Beginners. This one has pictures from famous illustrators like Ernest Seton Thompson and Louis Agassiz Fuertes. Her organizational structure is different from bird guides today, that usually place the species accounts in order by bird families. 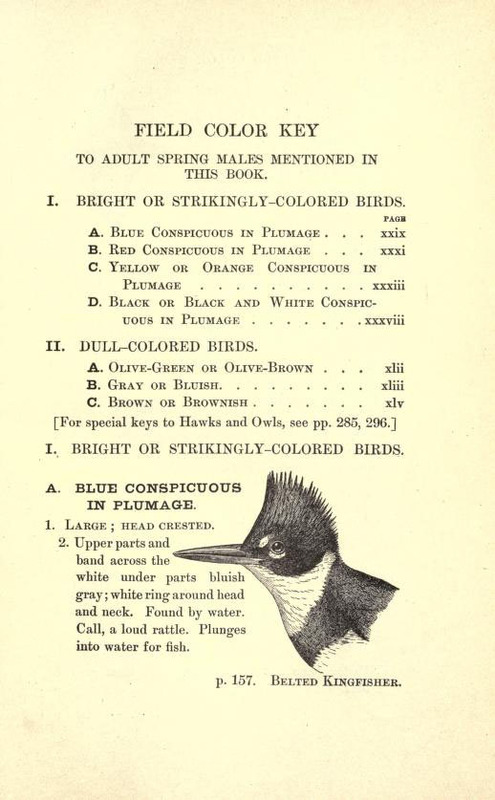 Merriam starts off her book with a key, dividing birds into “brightly colored” and “dull.” I think it makes a lot of sense for beginning birders. 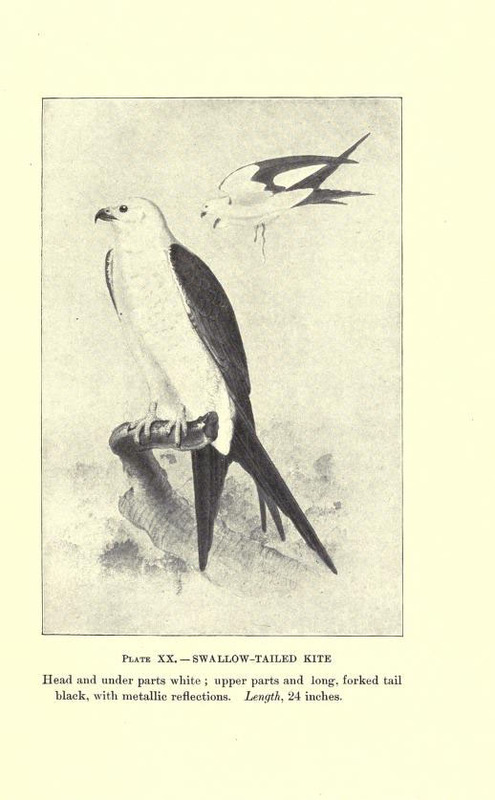 Key from Birds of Village and Field. 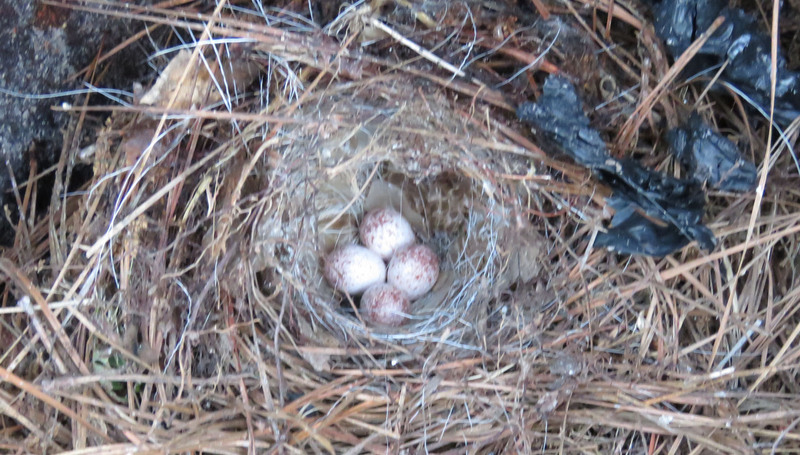 Wrens nest in all sorts of odd nooks and corners. A pair of Washingtonians one year started to build in Mr. Gardiner Hubbard’s greenhouse, in the pocket of the gardener’s coat. At night, when the man came for his coat, he would find sticks in his pocket, but it was not for some days that he realized who was playing this very practical joke upon him. Then the kind-hearted attendant was greatly perplexed, for he could not spare his coat. 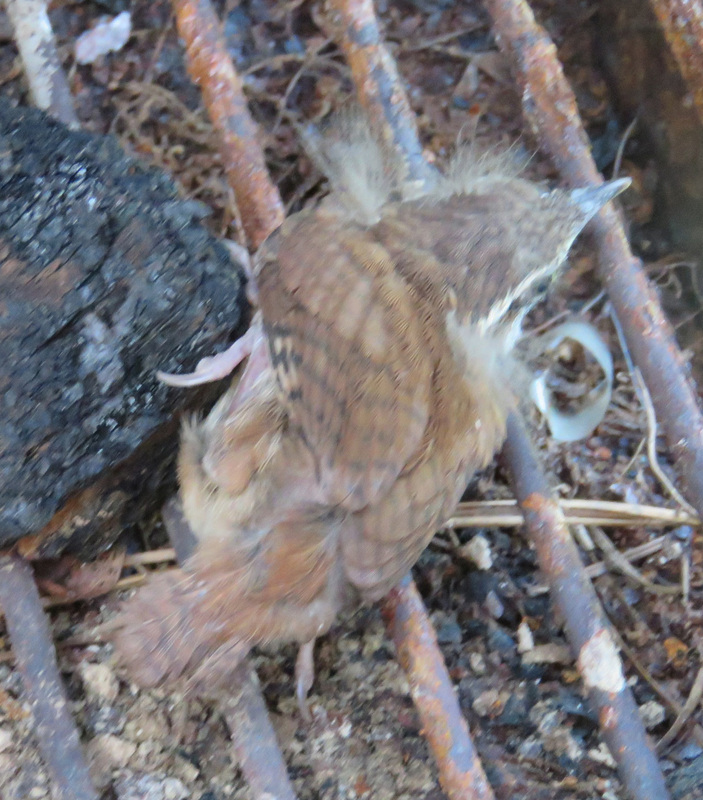 He compromised, however, by substituting an old one which suited the Wrens just as well, and in a short time there was a set of little brown eggs snugly ensconced in the bottom of his pocket. When showing them to me, the gardener got down a tall glass jar from a shelf in which was another Wren’s nest, and told me that a pair had also built on the knot of a loop of rope that had hung in the greenhouse. 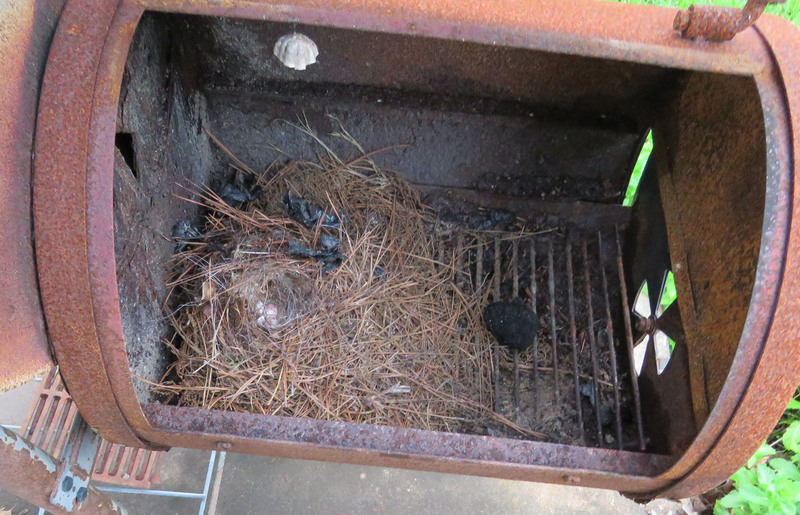 Wren nest in old barbecue smoker. All the babies did fine. 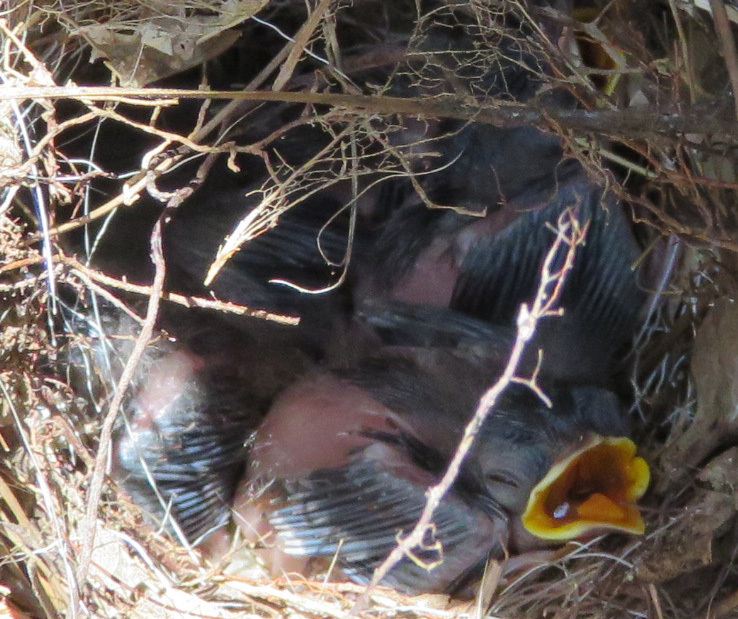 One of the fledglings just about to fly out of the smoker. doing those of their Hummingbird connections, who transact their business as they go. For more experienced birders, there is an eight-page observation outline! Part of the Observation Outline. That outline could keep any birder busy for a lifetime. Here are some of the illustrations (– as a sign of the publication time, they are rarely properly credited). 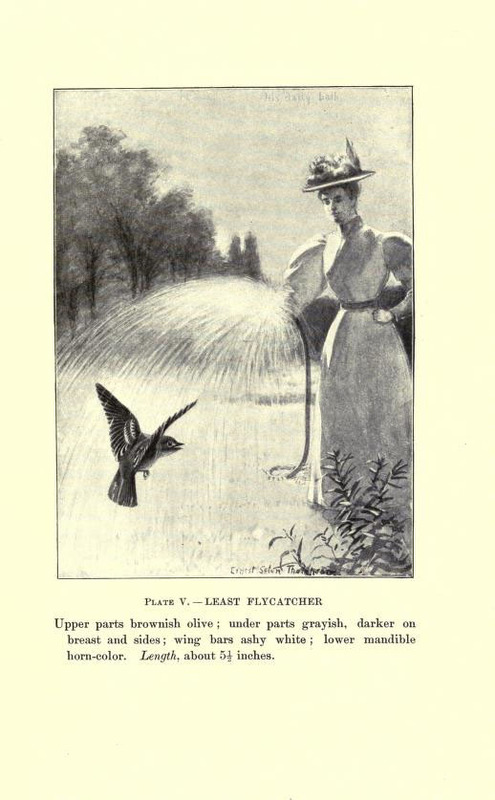 Although the lady in the following illustration looks a little put out, there is a cute story in the book about how the flycatcher came out every day when she watered her garden, to get a little shower bath from her hose. Nature and fashion — does it get any better? Both of these books are available online in their entirety, at the Biodiversity Heritage Library. I have linked to the summary page, but on the right of that page under “Volume details” there is a little button to view the volume. You can also download them. In reading these old books, I realize that some details may be inaccurate or out of date, but the conversational style helps me absorb the information so easily, I think they are a great supplement to today’s guides.